With all of the disasters happening lately, one often wonders what would you do if that happened to you? Well, as I was thinking about it, I would not want to be without my doTERRA. The oils are so supportive for emotions, and with tummy upset because of the stress, you just can’t be without your oils! So, wouldn’t it be a fun and one of the most important classes you can do? 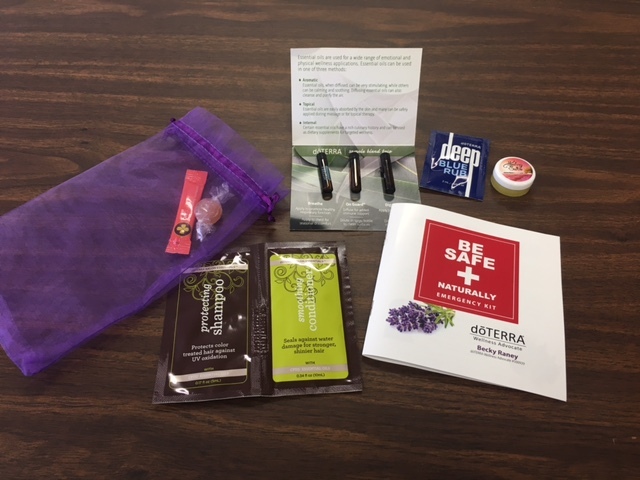 Sign up for my email newsletter and get a free PDF file of my emergency booklet that goes with the kit. This booklet was designed to have the products in the kit guide to how to use the items. So this kit /packet would even make a nice gift!